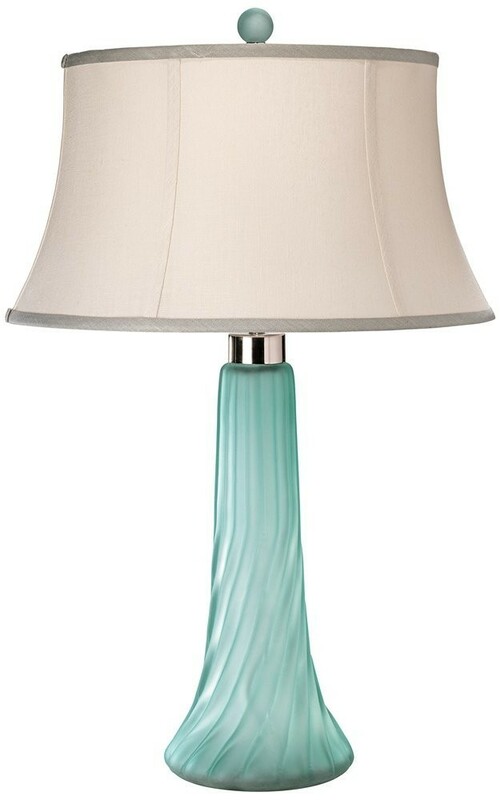 This mesmerizing table lamp design features a sea glass base modeled in a spiral fashion. 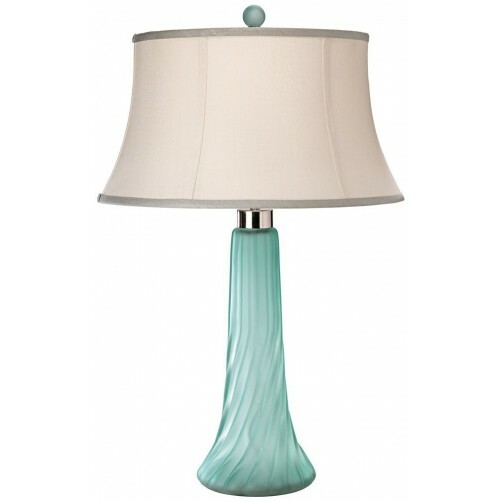 This contemporary piece is topped with a wide hourglass shade in sea salt linen with breeze linen trim. A banded stone linen drum shade completes this look. From Jamie Young. Total: 18" Diameter x 28.75"H.
Base: 7" Diameter x 18.75"H.
Shade: 14" top Diameter/18" bottom Diameter x 10"H.